While link building is one of the most challenging aspects of SEO, it can also be one of the most rewarding. The key to successful link building is to develop the right content strategies and outreach techniques, as this will enable you to build quality links more easily and boost the visibility of your landing pages and site as a whole. 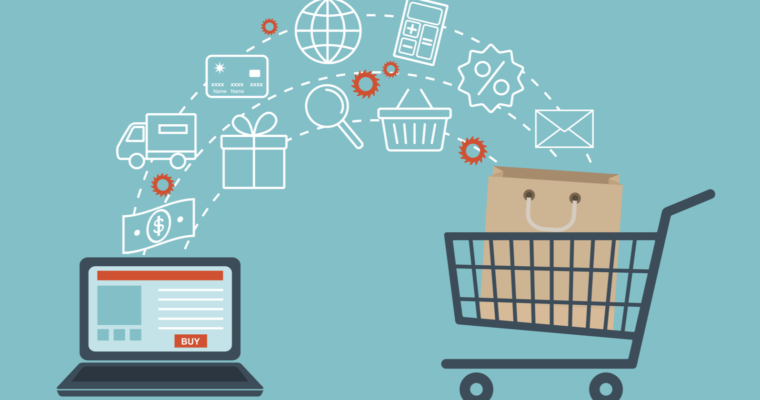 Let’s look at some of the best examples of effective, ecommerce link building tactics and how you can apply them to help your online business to succeed. Video content helps you bring your brand’s products (and the stories behind them) to life through walk-throughs, narratives, and in-depth instructional videos. This medium also enables you to create different types of content for your target audience, from educational how-tos to humorous stories and slapstick comedy. This proves invaluable in the quest to build effective links that engage customers and drive higher click-through rates. Video content tends to rank well on Google with potential for featured snippets. Let’s say you run an ecommerce store selling the latest fashion. A good way to attract links (and more customers) is by creating some fun, engaging video content on topics such as ’25 cool ways to lace your kicks’ or ‘9 ways to wear men’s chinos’, for example. Also, expand your reach by hosting the video on YouTube and check back on the Analytics to see who embeds your YouTube video. This can provide you outreach opportunities to relevant blogs where you can request a link back to the original page on your website. One good angle to take when outreaching to bloggers, once they have embedded the video, is to provide a better alternative, such as a high-quality HD embed that doesn’t include the YouTube ads. Just make sure to include a followed attribution link underneath the video iframe embed! Another way to acquire links and build buzz around your brand is to stock and promote extreme products (either as part of a seasonal range or a new segment of your business). This technique has the capacity to eschew traditional demographics and appeal to a mass audience. Wish.co.uk have perfected this strategy, leveraging a number of extreme experience products to build effective links and brand awareness. 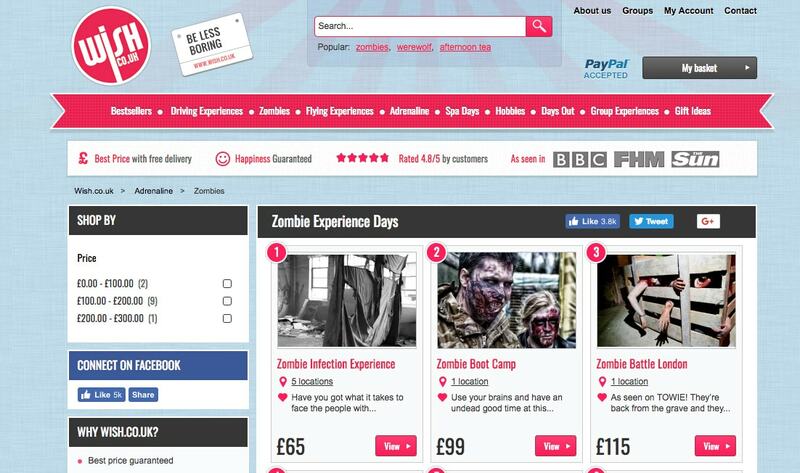 One of the most successful was its ground-breaking Zombie paint-balling experience, which was truly unique when it was launched and has now become hugely popular within this industry. By building links around this type of product, you can drive huge volumes of traffic to your website while generation considerable interaction through social channels. Research suggests that Millennials (who are now the dominant consumer demographic) are increasingly cynical of big brands and sponsored messages, which makes the process of link building even harder for ecommerce brands. This is a challenge that was neatly side-stepped by online fashion retailer ASOS, as their ASOS Insiders campaign empowered individual influencers to create powerful content assets and build links on their behalf. 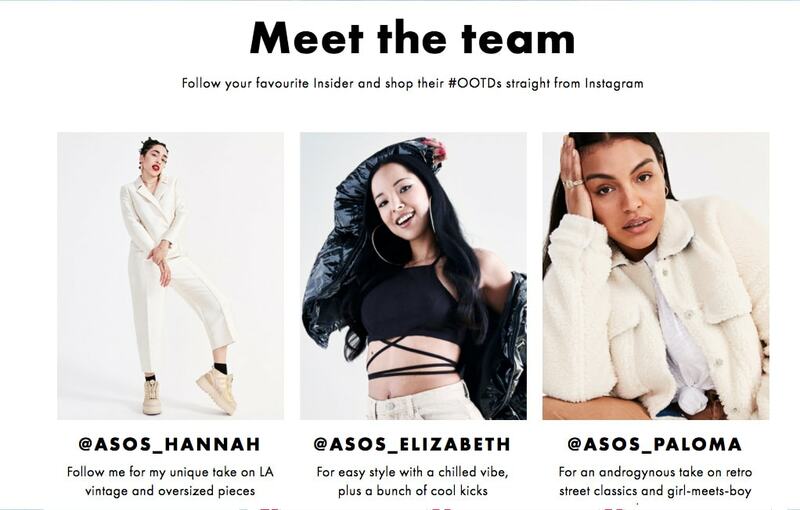 In short, ASOS created sponsored accounts for selected influencers and established fashion bloggers, who would then post images of themselves on Instagram and other channels wearing branded clothing. The pictures would be accompanied by targeted links that encouraged customers to “buy the look,” while also including relevant fashion tips and informative lifestyle content. And while these links from social media may not directly influence organic rankings, the Insiders page has attracted 49 natural referring domains from fashion bloggers and sites such as The Guardian. This campaign instantly delivered a natural message that added value to the consumer experience, while promoting products in a real-world setting and offering a unique insight into the identity of the brand. The results were truly impressive, with ASOS able to develop an organic and low-cost link building campaign that boosted customer retention rates and reached out to new demographics. 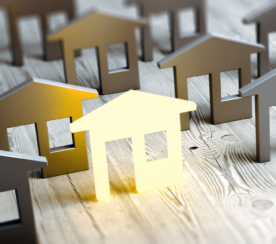 One of the most effective link building campaigns of recent times involved Getty Image’s Embed, which opened up around 50 million images for free use on blogs and social media websites. 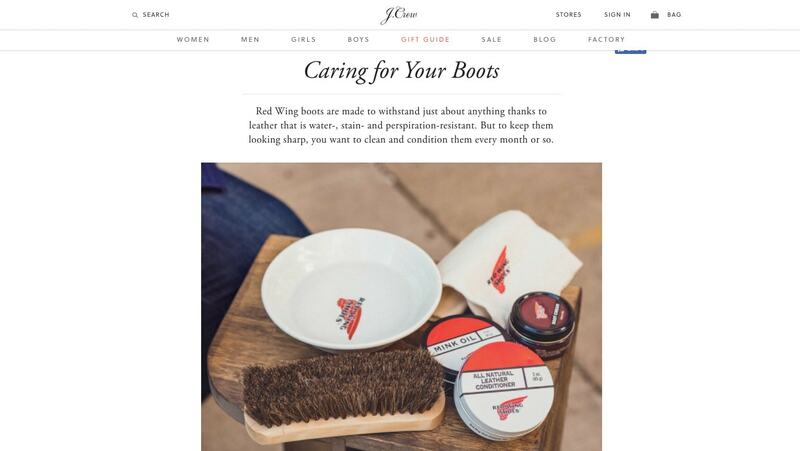 The key to this campaign was that it made the product shareable to potential customers, creating a clear path for scaling the idea and driving traffic back to their website. So, rather than attempting to build organic links through a remote blog post or external piece of content (and then create a customer journey using internal linking), you can direct traffic straight to a page that sits at the heart of your venture, should you make visually striking images embeddable. This creates the potential for your links to be shared beyond your own consumer network, generating more traffic and potential sales in the process. Offering free product samples to bloggers in your niche can be a great way to secure coverage and drive traffic, engagement, and links to your website. I recommend only working with bloggers who are influential in your industry. 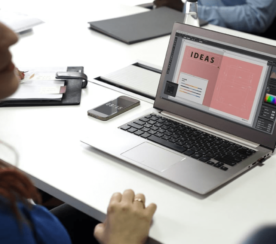 Do your research on your competitors to see which bloggers they regularly work with, and where their products have been reviewed across the web. You can do this by using software such as Ahrefs or Majestic to identify which bloggers have linked back to your competitors, or alternatively, a simple Google search will do the trick, such as “product name + review”. 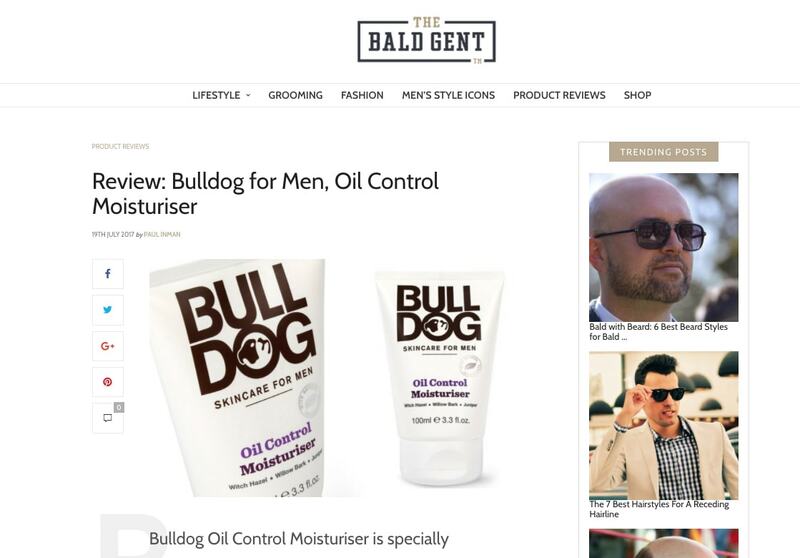 Let’s take this Bulldog for Men oil control moisturiser review as an example, reviewed by The Bald Gent. This is a good example of an in-depth review that identifies the pros and cons of the sampled products and helps interested buyers make informed decisions on whether the product is right for them. While some bloggers will naturally review your products for free, most will require an upfront payment as reviews are typically considered as sponsored content which is paid advertorials. Unless, of course, your product is of high value – in which case this may prompt the blogger to review your product in exchange for the free sample. But remember to use a traffic estimator tools (e.g., Ahrefs, SEMrush, Similarweb) to identify the influence of each blogger. Another good tip is to use Mozbar chrome extension to check the domain authority of the influencer’s blog, as the higher the domain authority, the more benefit you will see from securing those inbound links. As Google’s algorithms have continued to evolve and prioritize natural links, brands likewise have been more inclined to target content as the main part of their strategy. As we’ve already said, this does not funnel customers directly to key product pages, creating the need to build an internal linking structure that integrates your content marketing strategy. This positively influences the customer journey as well as the effectiveness of your link building techniques, so it’s well worth investing in. Your blog should serve as the heartbeat of this link building strategy, by hosting relevant and high-quality content that can deliver authoritative links and offers a natural conduit to specific product pages. If you need an example of this, look no further than fashion brand J.Crew. The brand’s blog is renowned for its classic sense of style and stunning photography, while it also hosts a diverse (but relevant) range of posts including how-tos, in-depth styling advice, and behind-the-scenes looks at the world of high fashion. Not only does this instantly engage customers and improve the quality of links that you’re able to build back to your website, but posts that relate directly to products can also be used to direct readers to the commercial pages on your website. What if you’re a start-up ecommerce brand with limited availability for marketing and little more than a product to sell? You want to use link building to drive awareness and traffic to your website, but what exactly is the right strategy to deploy here? You could do far worse than follow the example of Black Milk Clothing, a fashion brand that has grown from humble beginnings into a multi-million dollar firm that employs more than 150 people. This brand has focused primarily on building regional communities within its customer base while establishing an individual Facebook group and social network for each one (there are more than 80 under the brand’s banner now). These communities have become a breeding ground for motivated brand ambassadors, who are engaged with targeted and personalized content that includes links to new product launches and existing ranges. These ambassadors then share these product links and drive traffic directly to commercial pages, while also continuing the discussion even when there is nothing new to talk about. This approach essentially empowers customers as pivotal ambassadors for the brand, while providing them with the tools that they need to help build and share organic and well-received links. While an army of people will tell you that link building is no longer an effective way of driving traffic to your website and engaging customers, this depends entirely on the techniques that you use to achieve these goals. Hopefully these tips and practical examples will help to inform your link building strategies in the future while creating sustainable techniques that can drive long-term growth. Screenshots taken by Joshua Daniels, November 2017.